Thanks for visiting the new TriCity Computer Services website. Our purpose is to make technology work for you and your business. We strive to be your parttime IT Department enabling you to make better use of your time doing the things that you do the best. We make you more efficient, more productive, and less stressed by taking the guesswork/frustration out of computers and the technical tools you use in your life and business. 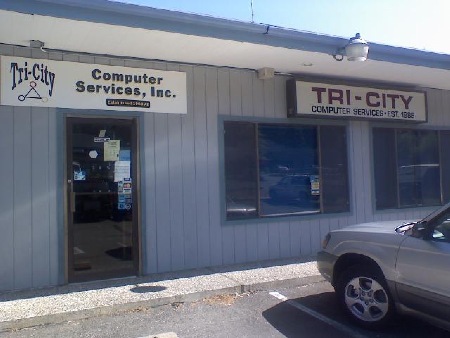 Tricity Computers and Dennis DeFotis have been headquartered in Lynnwood, Washington since 1993. We are a one stop service center with a full service shop, onsite service, and easy secure remote access to monitor and fix problems as quickly as possible. You can reach us at 425-771-4161. We are looking forward to hearing from you. You can also email us at info@tricitycomputers.com. We have been providing outstanding service and computer products to the Bellevue/Seattle/Everett area since1993. Our specialty is working with small to medium size businesses. We act as a consultant, part time IT department, and repair service. Our regular customers particularly value our commitment long term relationships and to making technology more useful and less stressful. Our business is located at 18609 76th Ave W,, Suite D, Lynnwood, Washington, 98037. Often in the course if diagnosis and repair, it becomes apparent that the best repair choice is replacement. Businesses especially have an ongoing need to add and replace computers and related technology to maintain productivity. Follow the link below for a complete line of hardware solutions utilizing the best in today's available technologies.